On occasion, a client will try to take matters into their own hands and amend their estate plan themselves. The reason is a mystery, since it often does not turn out well. Today’s mystery is the case of the neighbor girl and the well-meaning widow. A widow engaged an estate planning attorney to draft a trust which represented her then-current intent at the time she met with the attorney. At the same time, the widow executed a deed transferring ownership of her residence to the trust and a second deed transferring her “ranch” to the trust. The estate planning attorney instructed the widow how to transfer ownership of her other assets, such as her bank accounts, brokerage accounts and oil royalties to the trust. But, like many clients, the widow never followed through. The trust provided for several cash gifts to the widow’s favorite charities, with the real estate to be split equally among her children. Her long-time best friend was named as trustee. Years later, the widow had become frail and she needed assistance with her daily activities. The daughter of the widow’s long-term next-door neighbor, who had known the widow for years, volunteered to assist the widow. Over a period of many years, the “neighbor girl” became more and more involved in the widow’s life. The widow was never close to her own children. She became increasingly fond of the neighbor girl, who never asked for anything in return for the assistance she provided. The widow changed her mind and decided to leave her residence, which was owned by the trust, to the neighbor girl upon her death. At the time, the widow remained estranged from her children. She received an occasional birthday card or Christmas card from them, but otherwise they only came around when they needed money or other assistance from the widow. The widow decided she wanted to change her estate plan and she drafted a document in which she left her residence and one of her bank accounts to the neighbor girl. She also indicated she wanted her rather large Individual Retirement Account to go to the neighbor girl. The document also indicated how she wanted some of her treasured personal belongings to be distributed among her friends, her children, and the neighbor girl. The document repeated the widow’s wish to make several cash gifts to charity and it distributed the residual to her children. It stated that her long-time friend was getting up in age, so appointed the neighbor girl to carry out her wishes. The document is completely in her handwriting, signed and dated, and was witnessed by three of the widow’s friends. Her friends and her long-time personal physician all believed the widow understood what she was doing when she wrote the document. The neighbor girl had no knowledge of what the widow had done until after the widow’s death. The widow wrote that she intended that the document serve to amend her trust and will. The state statute regarding the validity of trust amendments, as well as the provisions of the trust document itself, require the amendment 1) must be a “writing,” other than a will or a codicil to a will, and 2) that it is delivered to the trustee prior to the death of the trustor. The state statute pertaining to a holographic will provides that the main language relating to the testator’s intent must all be in the handwriting of the testator and that the holographic will be signed and dated. Given that the document is in the handwriting of the testator, there is no requirement for witnesses to sign the will. Upon the widow’s death, the original trust and the document purporting to be a trust amendment and handwritten will or codicil was found among the widow’s possessions. No pour-over will or other estate planning documents were found. The original deeds transferring the real estate to the trust were also found among her belongings. They were both properly executed and recorded with the county recorder. The widow’s children immediately asserted that the real estate was owned by the trust and, therefore, must be distributed to them under the terms of the original trust. They claimed the document purporting to be a trust amendment was invalid because it should be characterized as either a will or a codicil to a will and, therefore, under both state law and the original trust terms, failed to meet the requirements for a valid trust amendment. They further asserted the document to be a valid holographic will, effective to distribute the specifically gifted personal property and the residual estate to them. The charities also supported the position that the handwritten document is a valid will. As the trust had no assets other than the real property, the cash gifts to the charities under the trust would fail and the charities would receive nothing, unless the hand-written document is determined to be a will. The neighbor girl petitioned the probate court for a determination as to whether the written document is a valid trust amendment, a valid will, or neither. If the document fails as a trust amendment, but is found to be a valid will, the neighbor would receive the bank account and personal property bequeathed to her under the document. If the document is found to be a valid trust amendment, she would receive the residence, but would not receive the bank account and personal property unless the probate court finds some way to determine that the written document is both a valid trust amendment and a valid holographic will, which is unlikely given the state statute. Regardless of the validity of the document, the IRA’s beneficiary designation (and not an outside document) controls the disposition of that asset, so the neighbor girl will not get the IRA. By attempting to amend her trust without consulting an experienced estate planning attorney, the widow created quite a mess. Despite the fact her closest friends know her true intent was to benefit the neighbor girl as she designated in the writing, the widow’s intent will not be carried out. By unwittingly causing the ambiguities and problems in her estate, she pitted the charities and her children against the neighbor girl, as they each fight to have the documents interpreted in the manner that benefits them most. Had the widow sought the advice of a competent estate planning attorney, all of these problems could have been avoided and her intent would have been carried out rather than thwarted. Our law firm focuses its practice on estate planning and the administration of trusts and estates. 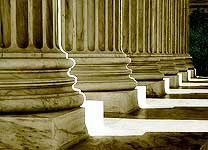 As a member of the exclusive nationwide group of estate planning attorneys, the American Academy of Estate Planning Attorneys (http://www.aaepa.com), the attorneys at our law firm are kept up-to-date on the latest developments as they occur and we receive continuing legal education regarding how to plan effectively for these law changes. You can take advantage of our specialized knowledge of estate planning and administration by scheduling a free consultation with one of our attorneys for yourself or one of your clients by calling or visiting our website.